← What is enterprise architecture? Travel companies now have a lot more things to worry about. Tackling only their direct competitors isn’t enough any more. The threat from indirect competition is extremely high. And this is evident from the work by non-travel companies like Apple (primarily a digital electronics company) and Google (primarily a search engine company) in travel industry. For Apple, it started with their Siri product, they have merely penetrated into travel industry. Apple doesn’t have any strong validation to prove their travel industry penetration apart from Siri. So, Apple has only one bullet to kill, that’s Siri. But, for Google, there are numerous bullets, they are coming, and they are all coming BIG, they are creating bullets at the speed nobody imagined. The quantum of work Google has done in travel industry is mind-boggling. For Google, their penetration into travel industry started with their ITA Software acquisition in 2010. Since then Google has done good number of acquisitions and the recent one being Frommers. 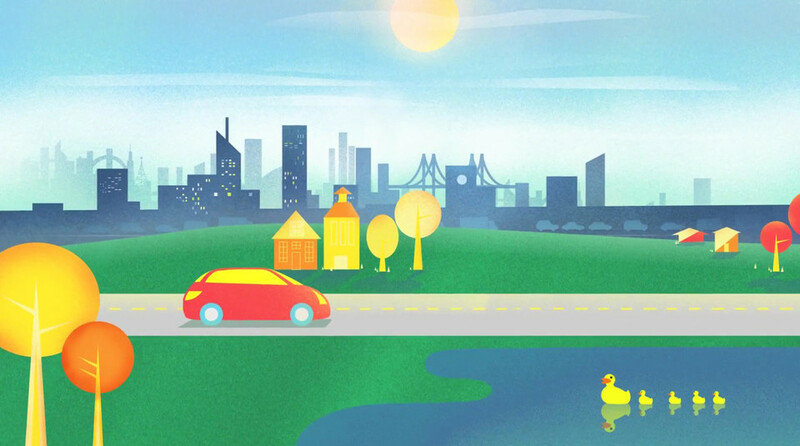 Little drops make an ocean, and Google is just proving this in style. Google is consolidating all of their products that has travel industry relevance and making sure every aspect of travel is covered. Google is easily the best place where one can learn ‘how to connect the dots’. Apple launched Passbook app in their latest mobile operating system ‘iOS 6’. This app stores customer’s flight / movie tickets and alerts it depending on customer location. Google Now has taken this to a totally different level. Google Now uses a natural language user interface to answer questions, make recommendations, and perform actions by invoking a set of Web services. It is included in Android 4.1 Jelly Bean and was first supported on Galaxy Nexus (Google’s flagship mobile phone). Google Now is all about “real-time”. 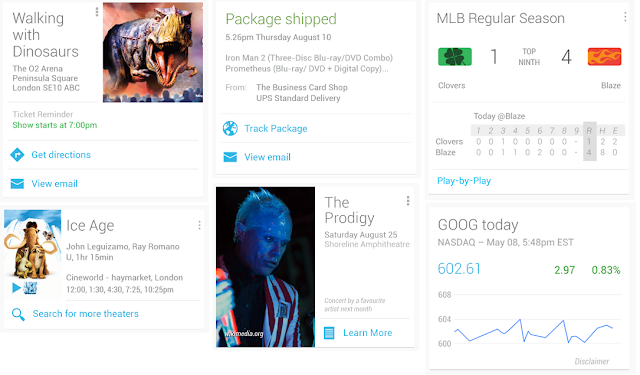 It takes the past history of customer (search) data and action, the context, customer’s current data and Google’s Knowledge Graph as input and displays more personalized and relevant information in the form of “cards”. User has to swipe the screen up to view the cards. Most of the time, the cards display automatically depending on the context of the customer. 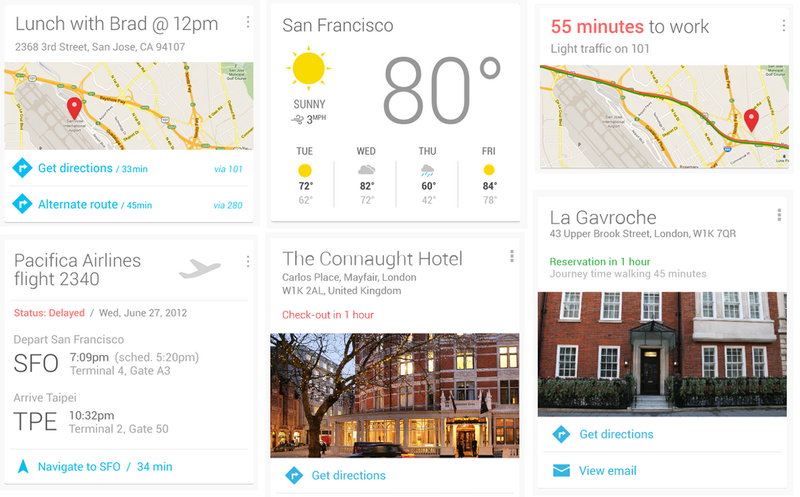 On Oct 29, 2012, Google announced significant update to Google Now in their Google I/O. They have added lot many new “cards” to Google Now. Example, Google Now can tell you about your restaurant appointment and when you should leave your current location to reach the restaurant, while doing this Google Now takes the current traffic condition into account and displays the ETA (Estimated Time of Arrival) and the best mode of transport. Among the 21 scenarios above, we have highlighted 9 scenarios that have high level impact to travel industry. We see this as a beginning from Google. We believe this is going to go much deeper in travel industry and might pose serious threat to existence of some travel companies. 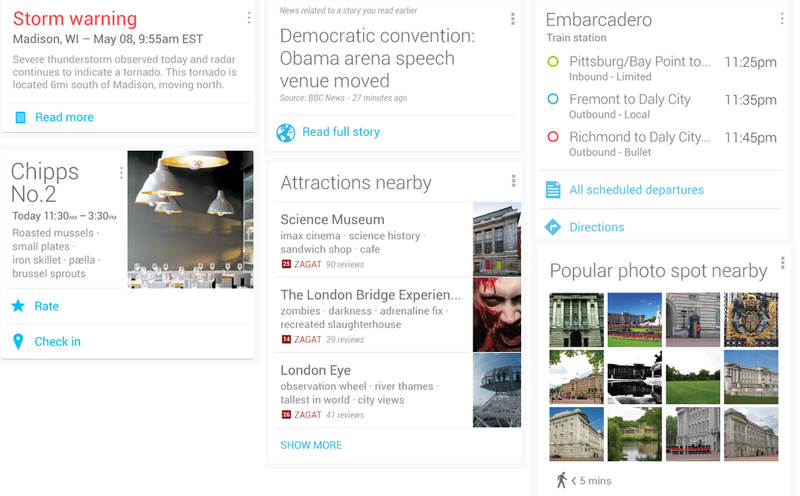 Google recently acquired Frommers and we are sure Google is working hard to integrate Frommers into Google Now. Google’s products can be compared to wine. With time, wine tastes better. With time, Google gains power. Google products become more powerful with the magnitude of data they collect daily and they put it to right use intelligently to ease the life of consumers. Lets not forget that the big-daddy ‘Google Glass‘ is still in prototype stage and we strongly believe Google will make good use of it in travel industry context. This entry was posted in Airline, CIO, Strategy, User Experience and tagged Google Glass, Google Now, ITA, Travel. Bookmark the permalink.